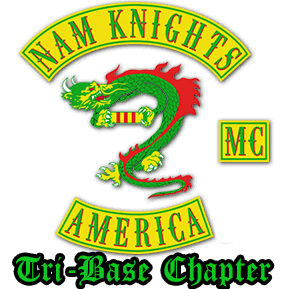 Welcome to the Nam Knights Tri-Base Chapter Online Store. All are welcome to order from our store, with exception for items marked for "Club Members Only". Some products are a MEMBERS ONLY products. You must be a Nam Knights MC member to purchase these items. If you are purchasing a MEMBERS ONLY item as a gift for a member, you must have it shipped directly to the member. If for any reason this is not possible please contact us!